This model scale calculator was provided courtesy of Jim's Dollhouse Pages. 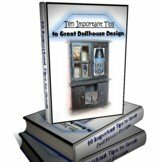 Check out his pages for imaginative dollhouse printables of every kind. Leave no Doll House avenue unexplored with this excellent scale calculator. Enter the original size in either English or Metric units. Pick the original scale and the scale to convert to. Then press "Calculate." The answer will be shown in both English and Metric units. This scale calculator will make measuring your details that much easier. We hope all our visitors, customers and readers get the help needed to succeed at their amazing Doll House hobby.